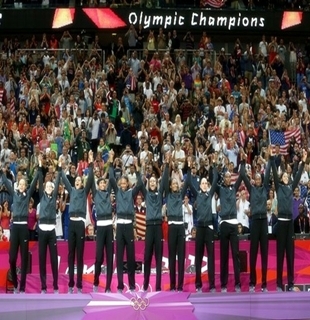 USA women proved that they are still the best in women’s basketball after dismantling France, 86-50, to take the gold medal in the 2012 London Olympics – their fifth-straight gold medal finish since the 1996 Atlanta Olympics. Candace Parker proved to the biggest factor for USA as she sparked a huge rally for the Americans when she started to take over, finishing with a game 21 points on 10-for-14 shooting from the field and grabbed 11 rebounds. “She’s one of those players that can really do anything on the court and it’s what separates her from other players,” said USA teammate Diana Taurasi on Parker. The Americans would not be denied as they started the game with a lot of confidence, building a five-point lead after the opening period, a lead that ballooned to 12 points at the half, led by Parker’s 15 points and nine rebounds in the half. With the momentum on their side, USA became more dangerous in the second half as they started to take the fight out of France and never looked back for the rest of the way to write another gold-medal finish in USA women’s basketball history. Sandrine Gruda and Edwidge Lawson-Wade, on the other hand, led France with 12 points apiece, while Celine Dumerc, arguably the most surprising player in the 2012 London Games, had eight points. Despite failing to end their run with the gold medal around their neck, Dumerc remained proud of what they have accomplished and will go home with their heads up high. Earlier in the day, Australia captured the bronze medal with an 83-74 win over Russia.